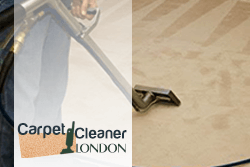 Our local cleaning agency provides professional carpet cleaning services in SW7 South Kensington, London. Homeowners often underestimate the importance of clean carpets. This is a big mistake, because carpets are one of the first thing your guests see when they visit you and bad carpets will leave a bad impression. However, here comes the second problem – carpets are extremely difficult to clean properly. Yes, it is a good idea to vacuum them once or twice a week, but this isn’t nearly enough to get rid of the grime stuck deep beneath their surface. 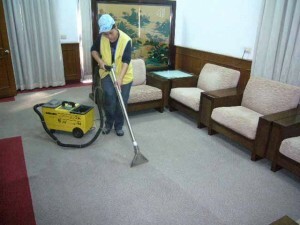 In order to clean your carpets perfectly and improve their condition, you need to take advantage of professional carpet cleaning services in South Kensington. Our company offers top quality carpet cleaning solutions to residents of London. We employ a dedicated and educated team of carpet cleaning technicians who are trained to utilize the most recent cleaning methods, equipment and materials. Our carpet cleaning service in SW7 has turned into one of the best in London thanks to the devotion of our employees and our attention to detail. We respect all our clients and feel that it is our duty to meet their desires, and present them with fresh, clean and hygienic carpets. The cleaning methods we use have been around for many years, but so far they are the most efficient ways to get rid of tough stains, grime and bad odors stuck in carpets. In most cases, we’ll use the steam cleaning technique, because of its high efficiency, affordability and convenience. Steam cleaning a carpet may take 1-2 hours depending on its size, but when we are done, you’ll see a noticeable different in its condition. Our mobile carpet cleaning team is available seven days a week, so don’t hesitate to contact us any day of the week. They also respond to emergency cleaning signals, so keep us in mind the next time you need someone to clean your carpets urgently. Contact us for booking information or any additional information about our offers. Carpets become darker, stained and look worn-out if they are neglected and aren’t maintained clean. We can offer you our professional carpet cleaning services provided in SW7 London and in the surrounding boroughs. They are cost-effective and implemented by some of the best in the cleaning industry. Use our services which guarantee effective removal of stains, grime, odours and dark spots from all kinds of carpet fabrics. Our staff provide inspection of the fabric, choose the proper detergents and equipment for cleaning and spray the soiled areas. They carry out effective and professional deep cleaning of carpets of all fabrics and types.